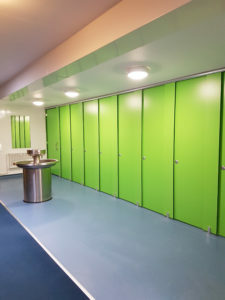 Mixbrow Construction have successfully completed the Kingfisher Mother & Baby Unit (MBU) at Hellesden Hospital, Norwich, on behalf of the Norfolk & Suffolk NHS Foundation Trust. 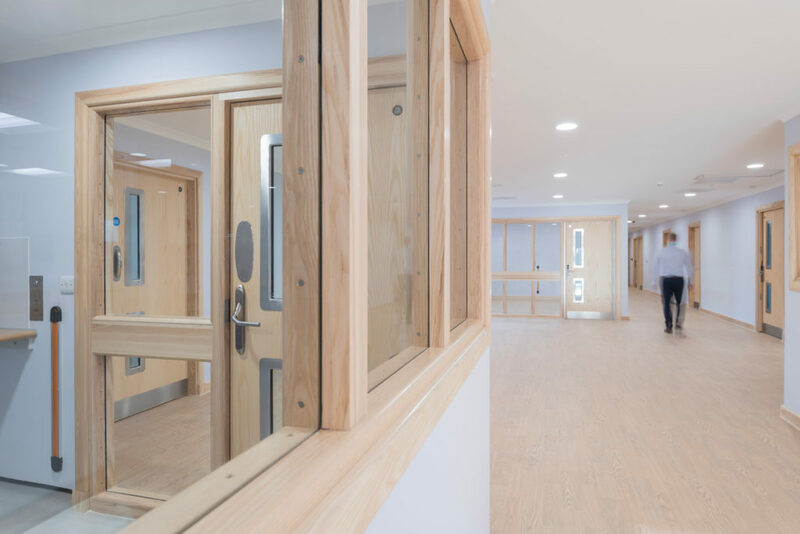 The eight-bed unit will ensure mums stay together with their babies, while receiving inpatient care, for conditions such as; severe post-natal depression, serious anxiety disorders and postpartum psychosis. 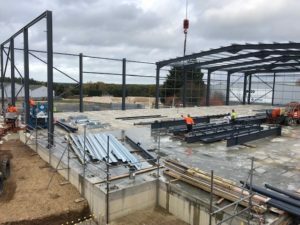 Work is progressing rapidly on the construction of a new storage and distribution building for TROX UK in Thetford. 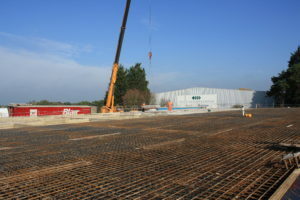 184 pre-cast concrete floor slabs, each weighing up to 2.5 tonnes, have been craned into position, to form part of the 1860 square metre warehouse floor and ceiling of the 44 bay under-croft car park. 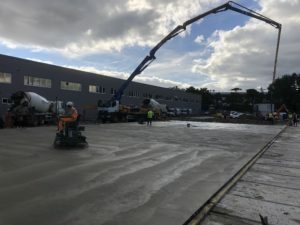 300 cubic metres of concrete have also been poured, to create the remaining warehouse floor section. The steel framed warehouse structure, fabricated and erected by Nimmo Industrial Buildings of Kings Lynn, is nearing completion, with roofing and cladding works set to commence. 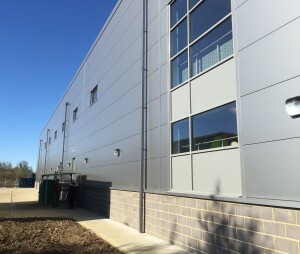 Working in partnership with Rees Pryer Architects of Bury St Edmunds, Superstructures Structural Engineers of Ipswich and Attleborough based BHA Consulting Civil Engineers, Mixbrow Construction is delivering a facility that maximises utilisation of the limited site space. 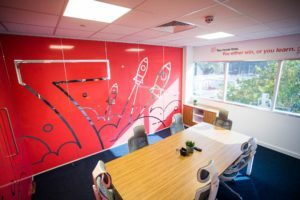 Utilising bold design concepts and high-quality components, Mixbrow Construction has transformed a drab, functional office area into a vibrant and stimulating work space. 100 staff members are comfortably accommodated within the open-plan office. A state-of-the-art, touch screen, electronic booking system controls the scheduling and use of the formal meeting room. 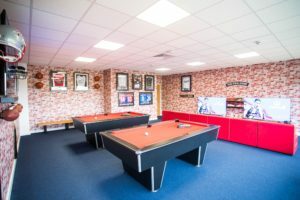 Pool tables, sports memorabilia and a “FIFA Zone” help staff to unwind during rest periods. 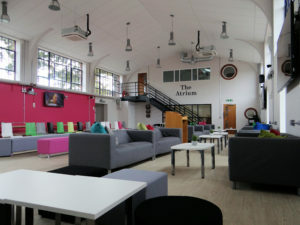 A coffee shop style refreshments area provides further opportunities to relax. Mark Farrow joins us in the role of Estimator / Surveyor. Mark's breadth of experience, having worked within local authority, social housing and main contracting environments, adds a new dimension to our team. Ralph Rachael joins us in the role of Site Manager, utilising his extensive experience and knowledge to manage the alteration and refurbishment element of a new social housing scheme in Bury St Edmunds. Mark Mann joins us in the role of Maintenance & Small Works Project Manager. Mark's affable nature complements his efficient and very capable approach to the role, further strengthening our dynamic small works team. These exciting appointments significantly enhance Mixbrow Construction's capabilities and help us to achieve our vision of being a leader in construction and the benchmark against which our competitors are measured. Work is progressing well on a new social housing scheme in Cauldwell Hall Road, Ipswich. 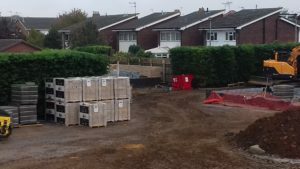 The project, undertaken on behalf of Ipswich Borough Council, will provide seventeen much needed, affordable homes for the local community and is scheduled for completion in November 2019. Work was recently completed at New Farm, Shelland. This project combines the old with the new and the traditional with the modern. The result is a beautiful family home that provides the comfort, performance and convenience expected of contemporary houses, while remaining perfectly in keeping with its countryside setting. 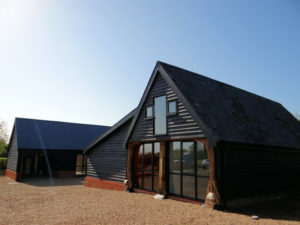 A former oak-framed Granary was extensively restored, both structurally and aesthetically, using traditional techniques and sustainable materials, such as oak carpentry, wood-fibre insulation, lime floor screeds, lime plastering and breathable, mineral based paints. Reclaimed bricks and timbers, set aside from a demolished, redundant farm building were incorporated into the renovation. A glazed link takes you from the rustic charm of the main house to the precise lines and state of the art technology of the annexe, which incorporates an extensive en-suite bedroom and cinema room. 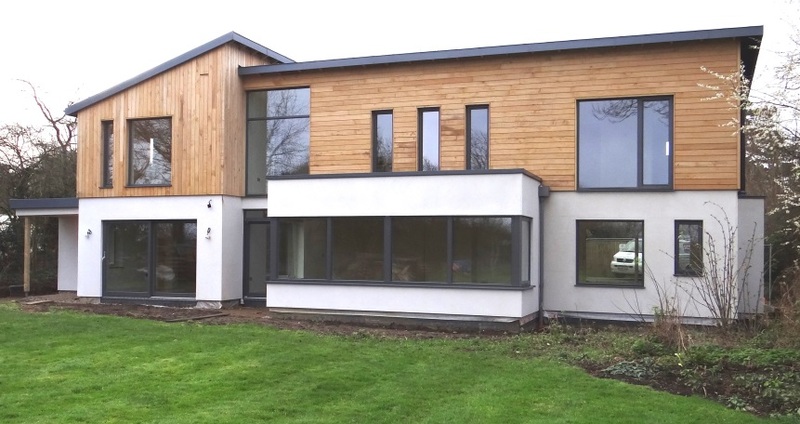 A ground-source heat pump provides the home with heating and hot water, as part of smart phone controlled, intelligent Mechanical & Electrical Installation. 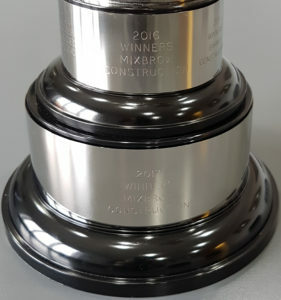 The 2018 Suffolk Joint Consultative Committee (SJCC) Awards were a great success for Mixbrow Construction. Mixbrow Construction received an RIBA Craftmanship Award, for a stunning domestic Kitchen and Swimming Pool building in Debenham. 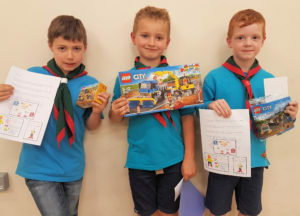 Westhorpe Village Hall and Harefield House, Norton also received special mention. Once again Mixbrow Construction have dominated the annual Castons Challenge Cup 5-A-Side football competition, finishing with a clean sweep of 7 victories and no losses. After a relentless performance in the final group match, taking victory against DPL, with a score line of 29 : 4, Mixbrow met Barnes in the final. 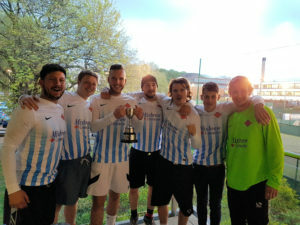 Despite a tentative start from both teams, Mixbrow soon hit their stride and, with a final score of 12:1, lifted the cup for the third consecutive year. 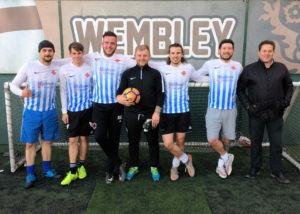 Darren Webb, Mixbrow Construction's Managing Director, and head coach, was delighted with the result, praising his team after their victory: "Congratulations to you all, you dominated the tournament and the final without doubt. You were all very sporting and fair to all of our opponents, many of whom we work for throughout the year." Thanks again to Castons, in particular to Adam Fuller, for organising the competition. Can Mixbrow make it an unprecedented fourth victory in a row next year? 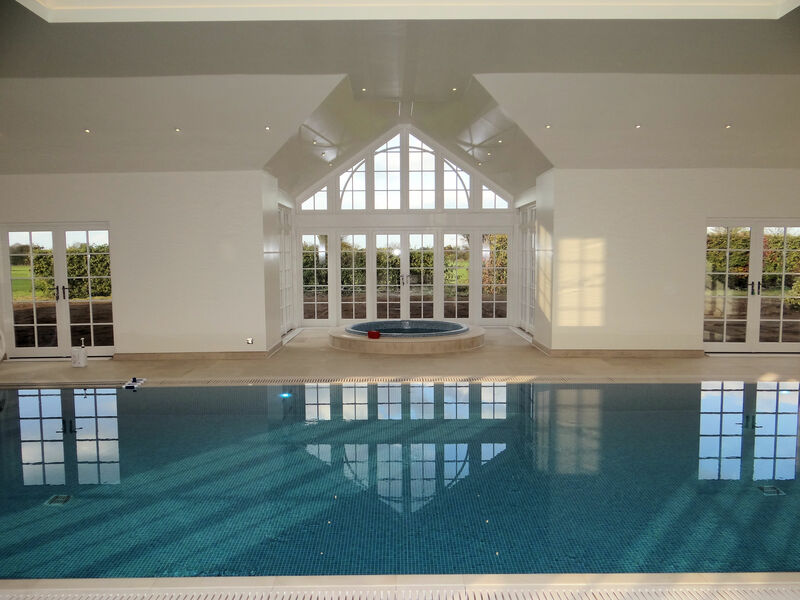 Situated in the heart of rural Suffolk, this beautiful residential project, consisting of a new kitchen extension; swimming pool; sauna; gymnasium and guest accommodation, incorporates top craftsmanship and traditional materials to stunning effect. Externally, facing brickwork is enhanced with bespoke stonework and joinery. A handmade kitchen, natural stone flooring and lantern roof lights combine to produce a welcoming, high quality interior. 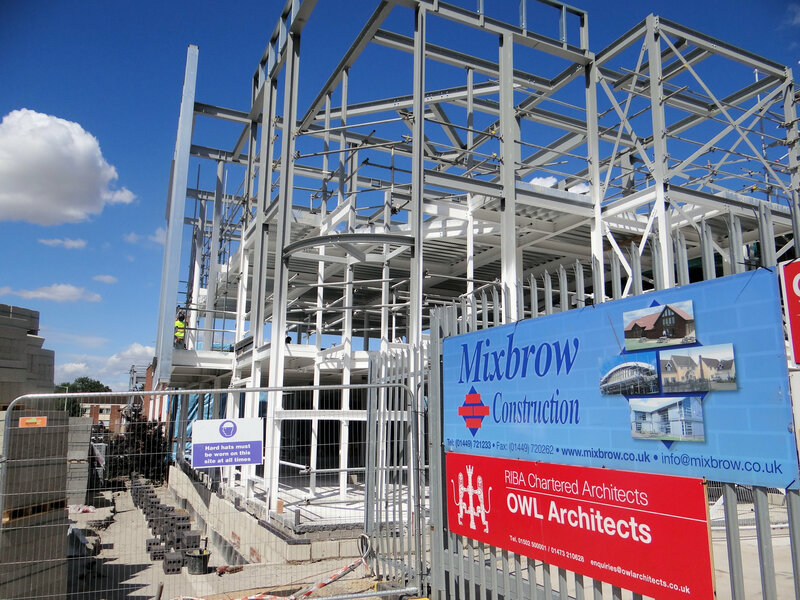 Mixbrow Construction has been extremely busy during the school's summer holiday period. 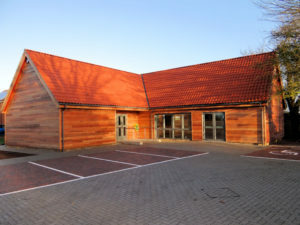 Projects included the extension of the Sixth Form Dining Room and construction of a new Workshop Building for Farlingaye High School, Woodbridge; the creation of a Modern Welfare Facility for Claydon High School and a New Front Entrance and Larger Staff Room for Bosmere Primary School in Needham Market. 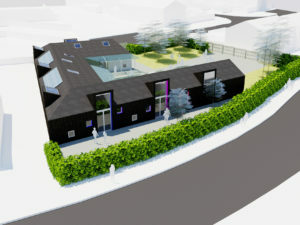 Work has commenced on the construction of a new, modern facility for Eaton Socon Pre-School. The timber framed building is due for completion early 2018. 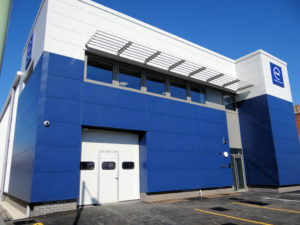 Mixbrow Construction recently completed a state of the art office and production facility, in Suffolk, for Challs International. The new headquarters, built over three floors and totalling 15,600ft,2 is of steel framed construction, with cast in-situ concrete floors, aluminium curtain walling and Kingspan Benchmark architectural façade. The building incorporates intelligent climate controls and automated systems, combined with rain water harvesting facilities. This optimises efficiency and environmental performance and creates an extremely pleasant working environment. 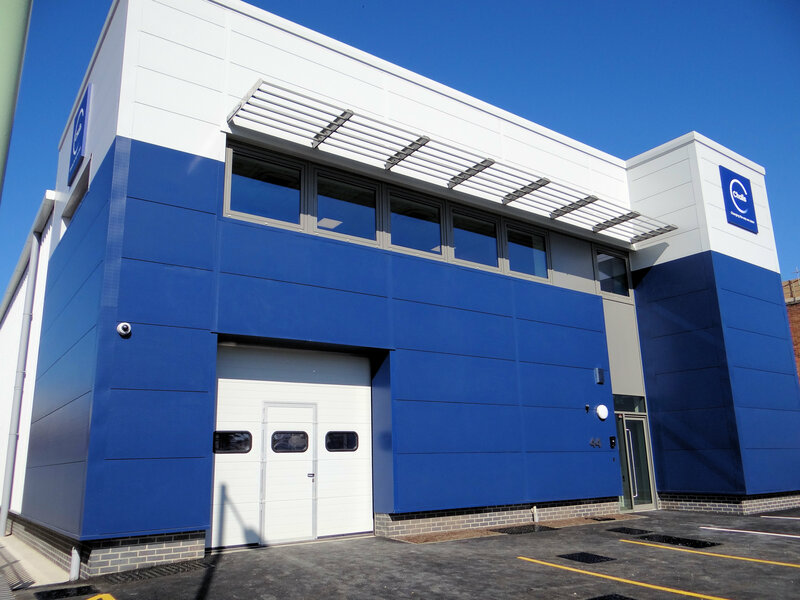 Mixbrow Construction have completed a high specification, office and storage facility for a Primo Manufacturing, in Hadleigh. The building is of steel framed construction, with aluminium windows and doors and composite panel envelope. Vibrant internal finishes to the offices create a very pleasant atmosphere. The modern meeting room is equipped with the latest multi-media facilities. The product storage area is racked to provide extensive warehousing capability. 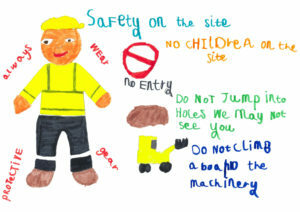 Thanks to all of the children and adults at the 1st and 3rd Stowmarket Beaver Colony for their enthusiasm in helping us to raise awareness of the dangers present on construction sites. 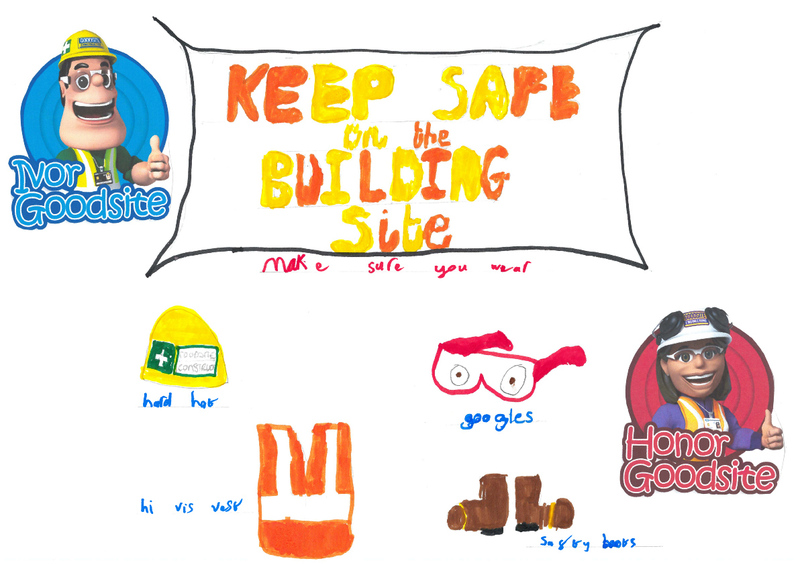 Mixbrow recently set the Beavers the challenge of designing new safety posters for our current project in Finborough Road, Stowmarket. All of the entries were fantastic and it was an extremely difficult task to select our winners. The top three entries were produced by Noah, Harry and William and each received a Lego construction set to say thank you for their hard work. 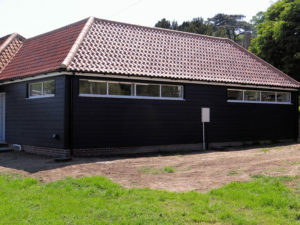 Working in partnership with KLH Architects, Mixbrow Construction have successfully completed an 18 week project to refurbish and extend the Pavilion at Hadleigh Cricket Club. Work included internal layout alterations, modernisation and refurbishment works, along with a new single storey, timber framed extension, housing new changing facilities. 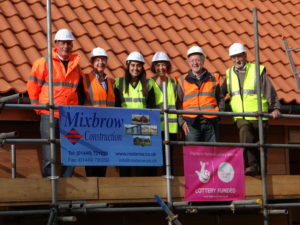 Mixbrow Construction is delighted to be working in partnership with Ipswich Borough Council to bring seven much needed affordable homes to the town. 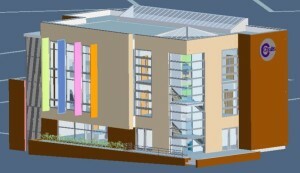 This eight month Design & Build project is programmed to commence in late June. 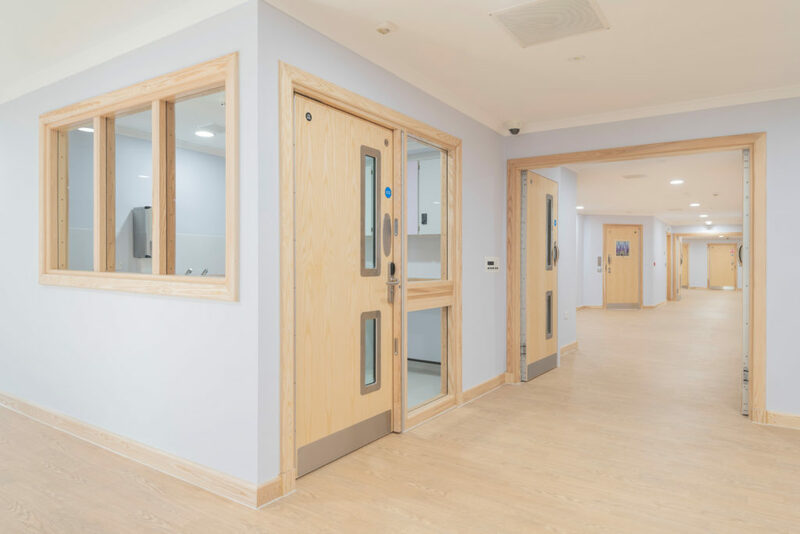 Mixbrow Construction are delighted to have been selected by the Norfolk and Suffolk NHS Foundation Trust to undertake a £0.5M Ward Refurbishment at the Julian Hospital in Norwich. This exciting 14 week project is due to commence mid June. Mixbrow Construction are delighted to have won the Challenge Cup for the second consecutive year. At full-time, in a very close match against DPL, the final went to penalties. With the score still tied after 5 attempts each, it all came down to sudden death. Mixbrow held their nerve to secure a spectacular victory. 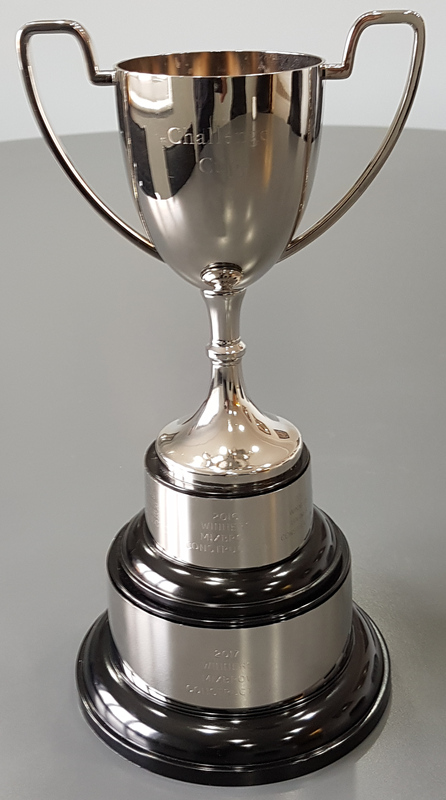 Once again Mixbrow Construction would like to thank all participants and, in particular, Castons for organising the tournament. 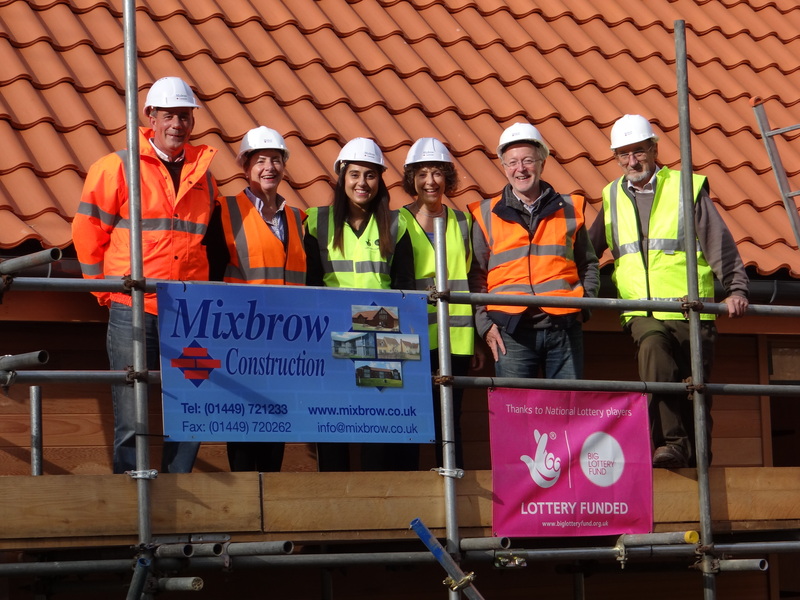 Mixbrow Construction are delighted to hand over a new 18 Bedroom Care Centre Extension in Barham, Suffolk, five weeks ahead of schedule. 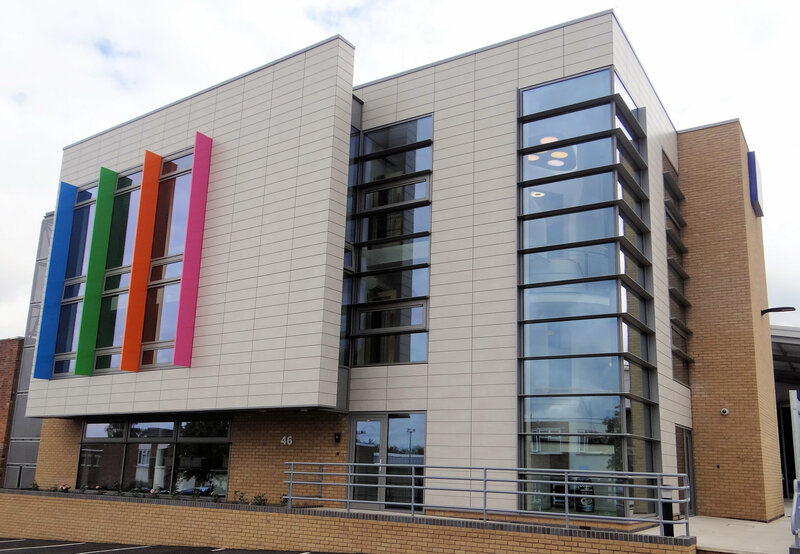 Phased hand-over and early completion has enabled our client to open the new wing significantly earlier than planned. 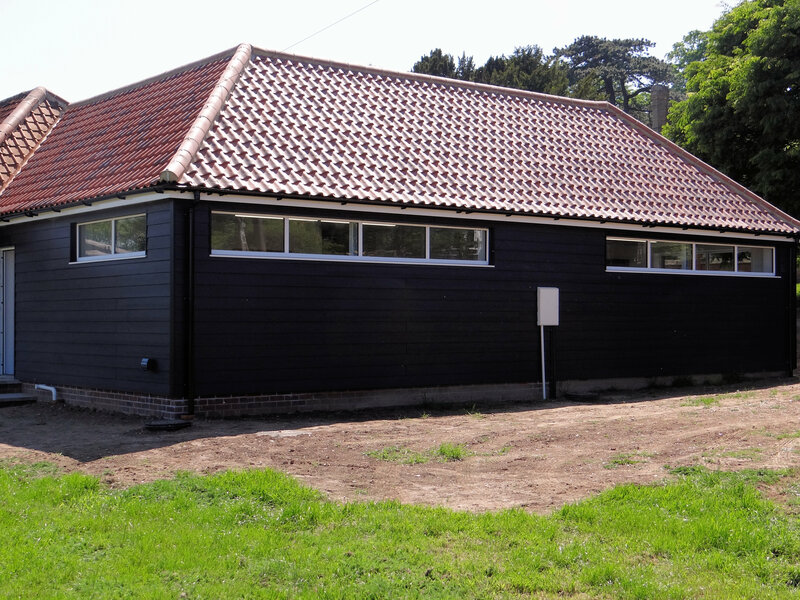 Mixbrow Construction has successfully completed the construction of a New Village Hall for Westhorpe, Suffolk, five weeks ahead of schedule. 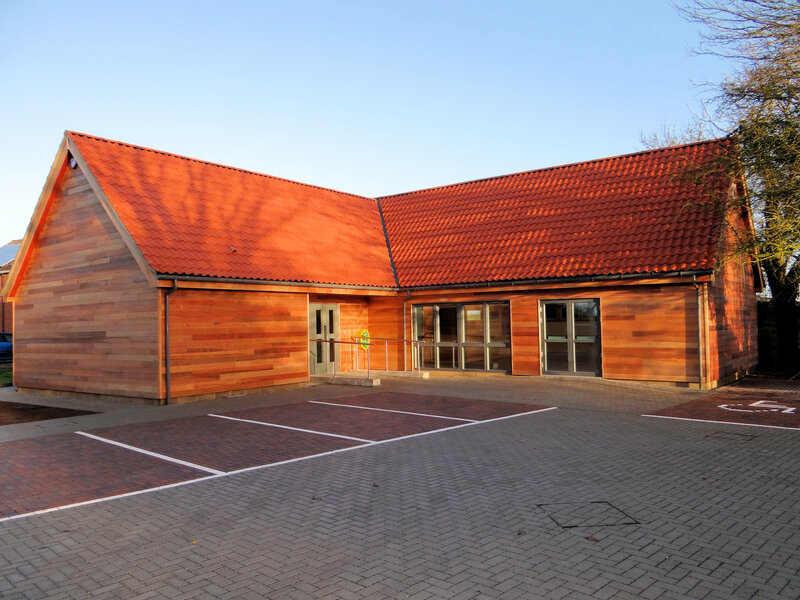 This modern community facility, incorporating a versatile, multi-media equipped Main Hall, Catering Kitchen and Welfare Facilities, will be cherished by local residents for many years to come. Work is underway on a local domestic property extension. The £1.4M project will create a new Kitchen, Swimming Pool, Spa Pool, Sauna and Gymnasium. Completion is scheduled for November 2017. Mixbrow Construction has commenced work on an exciting social housing scheme in Stowmarket. 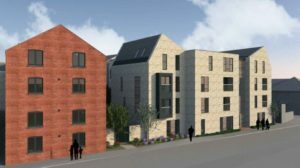 The £1.9M project, on behalf of Havebury Housing Partnership, which is scheduled for completion in November 2017, will see the creation of twenty two new one bedroom apartments. The topping out ceremony to mark the completion of the main structure and roof of the Westhorpe New Village Hall was a great success. In attendance were; the Architect, Paul Weston; Sue Hull, the Chair of the Village Hall Committee; representatives of the National Lottery and Mid Suffolk District Council, along with a number of local residents. The timber framed building is planned for completion in early February 2017, however, it is hoped that this long anticipated community facility will be handed over 1 month ahead of programme. The 2016 FBE Eastern Region Charity Golf Day has exceeded all expectations in raising funds for local cancer charities. This year's event, organised by Darren Webb, Managing Director of Mixbrow Construction and held at Stowmarket Golf Club, raised in excess of £5,500.00. A big thank you to all that took part. 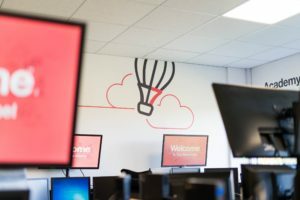 Working in partnership with Wincer Kievenaar Architects, Mixbrow Construction has transformed drab, under-used classrooms, offices and technology workshops into vibrant, learning and social spaces. The new Sixth Form Centre, at St. Josephs College, Ipswich, provides a contemporary, light and spacious learning environment. 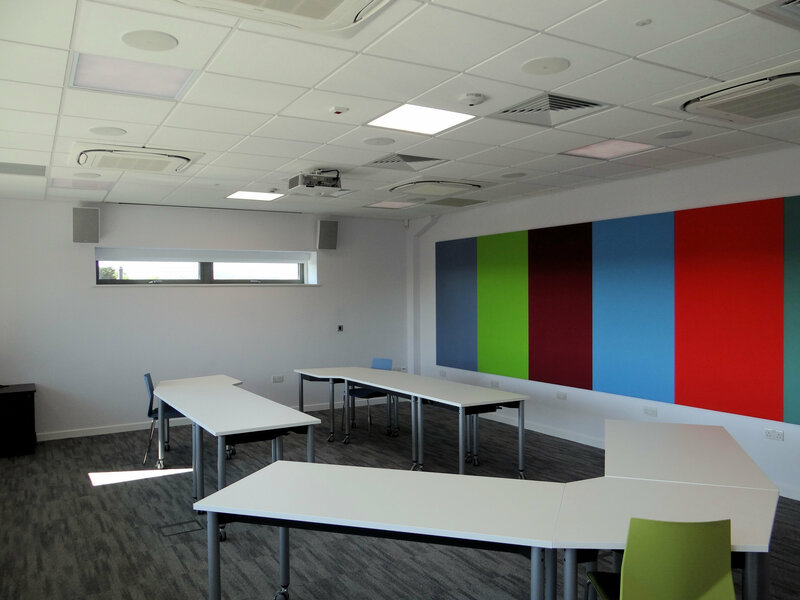 In addition to formal teaching areas, the new facility provides informal study areas and an open plan social lounge. Work is progressing well on one of Mixbrow Construction's commercial new build projects in Hadleigh, Suffolk. The 45 week project, on behalf of Challs International and Primo Manufacturing, involves the construction of a new 3 Storey Office Suite, Manufacturing Facility and Storage Warehouse on adjacent sites. Mixbrow Construction would like to thank Castons Chartered Quantity Surveyors for Hosting a charity golf day at Waldringfield Golf Club. The day was a great success, raising money for Diabetes and Cancer charities. Mixbrow Construction finished second in the team competition. A valiant effort! Mixbrow Construction has sailed through its first compliance audit since successfully gaining ISO and OHSAS certification of its Integrated Management System. The company has made fantastic progress over the past year, embracing the spirit of the standards and driving forward continual improvement. Mixbrow Construction have successfully completed the extension and renovation of a redundant outbuilding, transforming it into an attractive holiday let property. The feeling of space and airiness is enhanced by the creation of vaulted ceilings and the installation of aluminium sliding / folding doors. 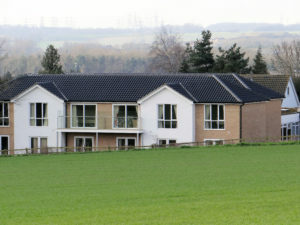 An open plan design and incorporation of modern features, such as underfloor heating and a wheelchair accessible wet room maximises usability. Bespoke softwood windows and pargetting are in-keeping with the surrounding buildings. “I employed Mixbrow to convert and existing outbuilding to create a 3 bedroom house in challenging conditions. My site was demanding; in the grounds of an historic watermill, with a high water table. Relations between Mixbrow and me were excellent throughout. 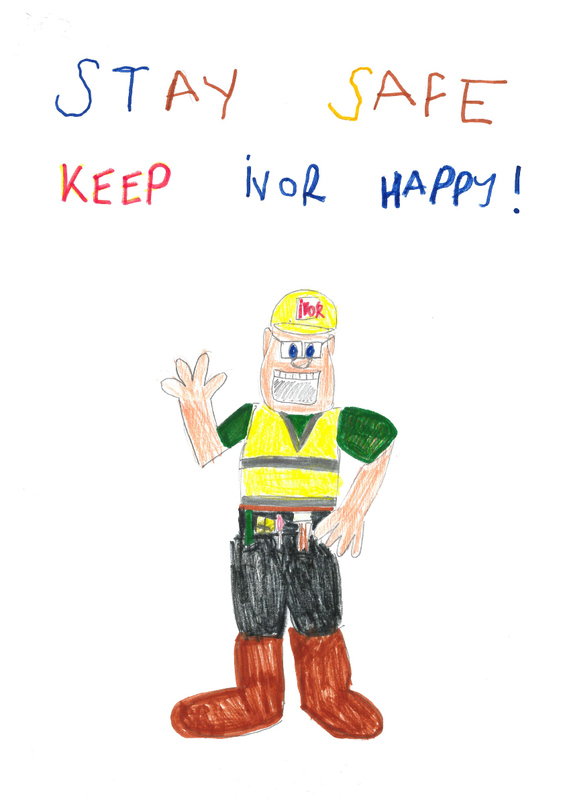 Mixbrow staff and their subcontractors were always cheerful and helpful – willing to explain what they were doing. Everyone working on the project seemed determined to build to the highest specification and the finished result is excellent. James Johnston, Mendham Mill. Mixbrow Construction is delighted to announce that Simon Metcalfe has recently join its management team. Simon is a vastly experienced and immensely respected site manager, who has successfully completed many complex construction projects. With his wealth of practical knowledge and skill, he adds another dimension to a dynamic team. 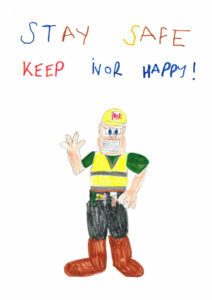 Simon's friendly, open nature makes him a perfect fit with Mixbrow's ethos of honesty and fairness. 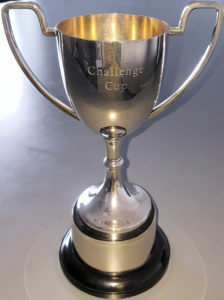 Undefeated Mixbrow in Challenge Cup Victory! 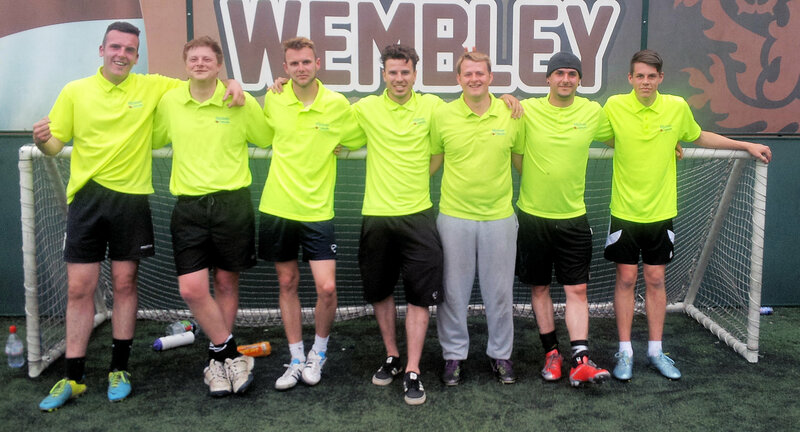 After narrowly missing out last season, Mixbrow Constrution have become worthy champions in the Challenge Cup. 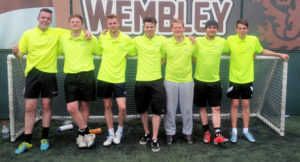 An undefeated run of eleven matches, in which Mixbrow scored a staggering 183 goals, while letting in only 32, guaranteed them a place in the final. A spirited final, against Morgan Sindal saw Mixbrow emerge victorious, with a final score of 7-2. The Challenge Cup is a 5-a-side football tournament for Contractors, Consultants, Architects and Solicitors in the Ipswich region. Mixbrow Construction would like to thank all those who participated and, in particular, would like to give special thanks to Bradley Hines of Castons for his time and effort in arranging this very enjoyable sporting event. 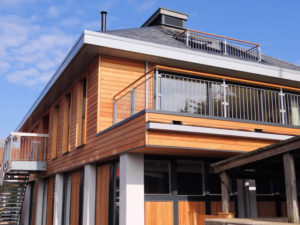 Mixbrow Construction have worked tirelessly for their client to deliver them a stunning riverside building. 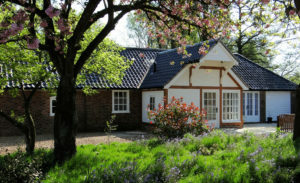 The Belvedere, situated in Woodbridge, Suffolk, offers picturesque views over the river Deben. The three storey building consists of modern office space to the ground floor, while the second and third floors provide luxuriously furnished, holiday let apartments. 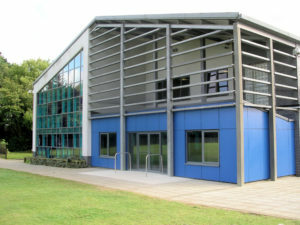 "We are delighted with our new building, which is a complex and unique design. Mixbrow did exactly what they promised, delivering it on time and budget. 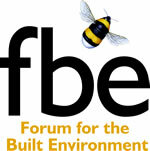 They are a professional organisation, with a personal approach to problem solving and construction." Clive F. Eminson BSc FRICS, Chairman, Robertson’s Boatyard. 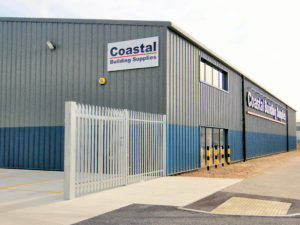 Mixbrow Construction have delivered Coastal Building Supplies their new flagship depot, situated on Ransomes Europark, Ipswich, below budget and six weeks ahead of programme. "I would like to express my thanks to the team at Mixbrow for the completion of a successful contract. From beginning to end Mixbrow have always been professional, timely and reliable. The project has been finished ahead of time, within budget. Workmanship and attention to detail have been of a very high standard, with exemplary site management. 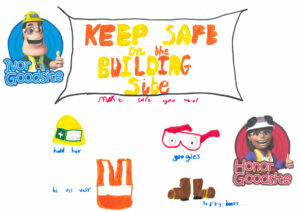 Should we have need of a contractor in the future I would be pleased to work with you again. Please pass my thanks to all involved." John Parish, Chairman, Coastal Building Supplies Ltd.
Mixbrow Construction has commenced work on two adjacent commercial buildings on Lady Lane Industrial Estate in Hadleigh, Suffolk. The 45 week project, on behalf of Challs International and Primo Manufacturing, involves the construction of a new 3 Storey Office Suite, Manufacturing Facility and Storage Warehouse. 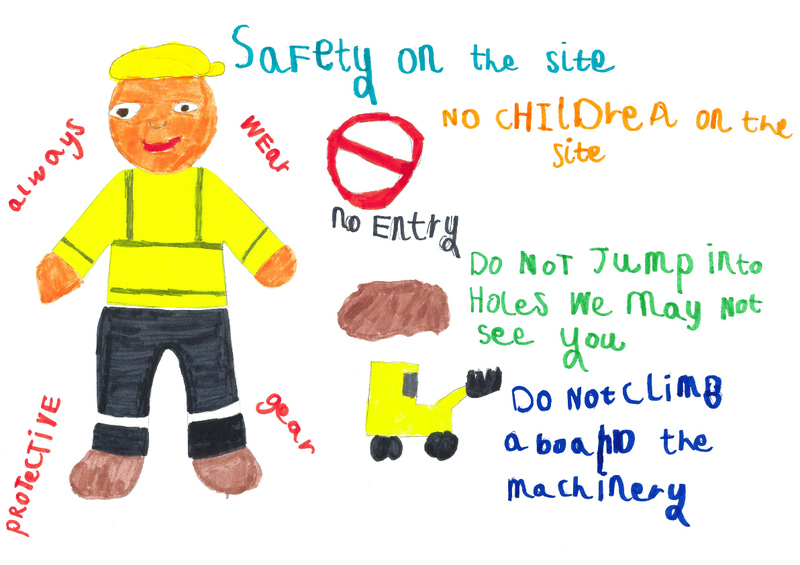 Mixbrow Construction is delighted to have been appointed to the 'Works Standing List,' giving us the opportunity to work in partnership with Babergh and Mid-Suffolk District Councils on future improvement, alteration and refurbishment projects. Built for a private client, in a rural village setting, this bespoke timber framed house is a fabulous example of a modern family home. 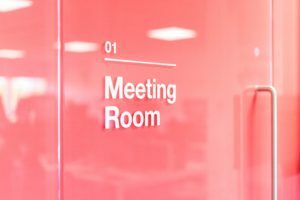 Working in partnership with Plaice Design Company we have achieved a standard of finish and attention to detail that is exemplary. This project is scheduled to be entered for numerous national design and construction awards. Mixbrow Construction has commenced work on an 18 bedroomed Care Centre extension for local client Cardinal Healthcare. 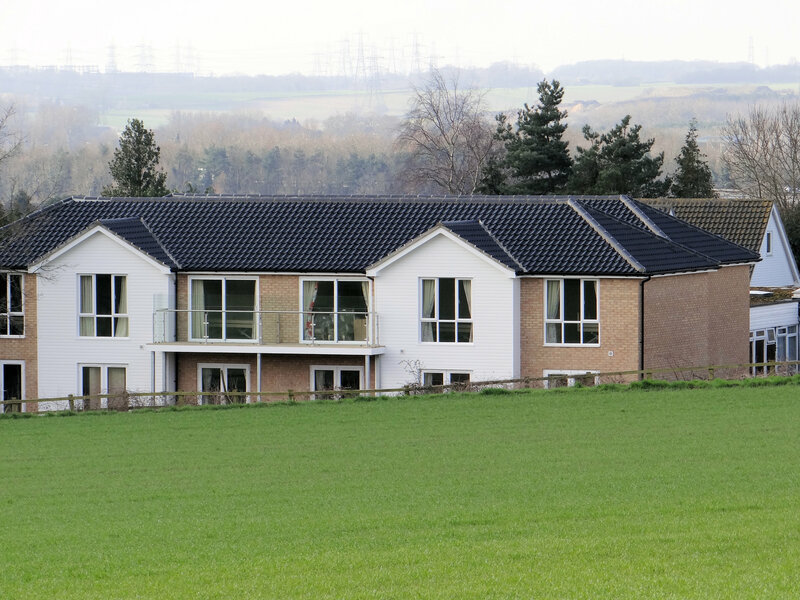 We are delighted to be continuing our relationship with this valued client, following on from a previous successful project to design and construct a 55 Bedroomed Care Centre. Mixbrow Construction have once again provided an outstanding level of service to deliver its client a first class facility. The project to construct a new multi-million pound factory extension for Kinnerton Confectionery has been completed on time, within budget and with zero accidents or environmental incidents. On Wednesday 16th December Mixbrow Construction held their annual Client's Sporting Event. After coffee & bacon rolls, the morning was spent locked in fierce combat; Clay Pigeon Shooting. Following a closely contested battle, requiring steely nerves and a rather fetching choice of eyewear, Stuart's team emerged the victors. Scores were compared and excuses were made over a relaxed festive lunch. Restored, we reconvened at the lake to while away the afternoon, engaged in less combative pursuits. Or so we thought. The announcement of prizes available for 'largest fish' & 'most fish' landed reignited the hunger for victory. Competition did not cease until it was no longer possible to see the floats bobbing in the water. Had head torches been available, they would surely have been deployed. 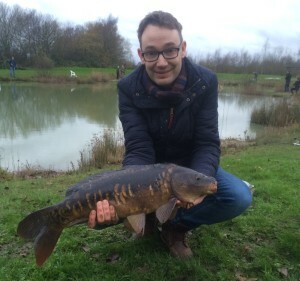 A nine pound monster, wrestled to the bank by Paul Boswell was, by some margin, the largest of the day, while Andy Garnham's focus and commitment was rewarded when he declared on a century to secure the prize. An evening meal and drinks topped off a very enjoyable day, spent in great company. Mixbrow Construction is delighted to welcome David Johnson back to their management team. David spent many successful years as their resident maintenance contracts manager at PPG Industries in Stowmarket. After a brief spell away, David has returned to Mixbrow Construction as Commercial Projects Manager. He will be responsible for the successful implementation of the future strategy for their small works and maintenance division. After 20 successful years of leading the company, John Prentice has decided to stand down as Managing Director of Mixbrow Construction. John will continue to sit on the board of Directors, providing support and guidance in his new role as Chairman. Darren Webb has been appointed as Managing Director of Mixbrow Construction. The enthusiasm and commitment that Darren has demonstrated in his previous role, as Construction Director, combined with his passionate approach will help to drive Mixbrow Construction on to greater things in the future. The Board are also delighted to announce the appointment of Doug Jaye to the position of Contracts Director. Doug has been a vital member of our management team since he joined us in 2002. His vast construction knowledge and practical experience, coupled with his unwavering commitment to “doing things right” bring great strength to the board. Rob Berry continues in his dual role as Financial Director and Company Secretary, while Stuart Leech has shifted his focus slightly. As Operations Director, Stuart is targeting continual improvement and raised standards of professionalism throughout the business. 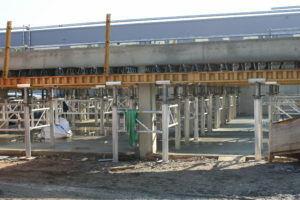 To this end Mixbrow Construction continue to develop its Integrated Management System. Mixbrow have been working closely with OWL Architects, Superstructures Ipswich engineers, Gill Associates Quantity Surveyors, and The Energy Practice, M&E consultants, in preparation for the start of the new head office and production facility. The project is for Challs International Ltd and Primo Manufacturing Ltd, manufacturers and distributors of specialist cleaning products worldwide. The contract is due to last approx. 12 months. We are pleased to have just started building four new houses for Orwell Housing at Sweffling, Suffolk. The project follows the successful completion of a site at Wickham Market which also included social housing for Orwell Housing. The project is expected to take 30 weeks. 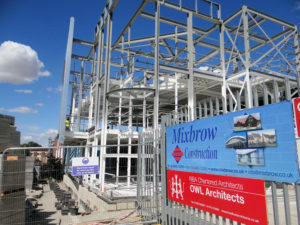 Mixbrow Construction has successfully developed and implemented an Integrated Management System that has been certified, by a UKAS accredited certification body, to meet the exacting standards of ISO 9001 (Quality Management), ISO 14001 (Environmental Management) and OHSAS 18001 (Health and Safety). They become one of a relatively small number of organisations to have successfully completed this process. Mixbrow are on programme to complete the construction of a 25.000 sq ft extension to the chocolate confectionery company's Fakenham factory. The extension will enable Kinnerton's production and packaging activities to be brought under one roof. The extension will be built on a raised floor to provide flexibility in the positioning of machinery in the factory and associated pipework/ducting below floor level. The building work, one of the largest projects carried out by Mixbrow Constructon, will be completed before Christmas.